JBL is donating a biotope aquarium for a good cause. The well-known biotope aquarist Benjamin Hamann set up three biotope aquariums in front of a spellbound audience during the trade fair Aqua-Fisch. He received major support for it from JBL (aquarium and accessories), Tropica (plants) and Stream-Biz (lighting). The installation ”Nigeria“ was a particularly low-maintenance biotope aquarium. 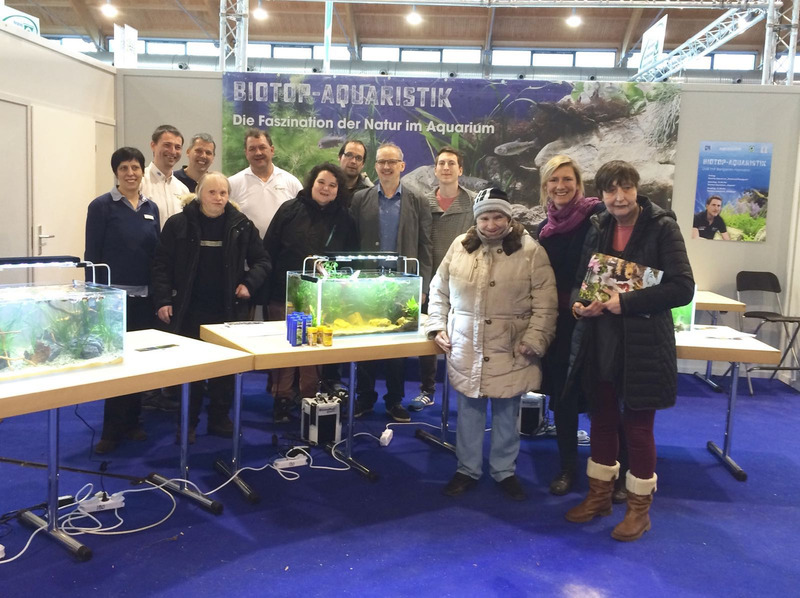 This aquarium was donated after the fair to the St. Gallus-Hilfe für behinderte Menschen GmbH in Meckenbeuren. Here it will enrich the day to day life of the residents. Two of them will continue to maintain it. Pasquale Luperti, store manager of Dehner Zoo in Ravensburg, spontaneously added a voucher for the fish stock at the fair, which will be useful after the running-in time. Şimdi kaydolun ve JBL'deki yenilikleri artık kaçırmayın!